Her Imperial Majesty, Queen of Hearts welcomes your attendance at the Streams of Bunclody Community Festival from 20th to 22nd of July 2018 with the theme decreed by Her Imperial Majesty of, Alice in Bunclody. On Friday we invite you to welcome Her Royalness and Her entourage into Bunclody at 8pm by wat of a Procession that befits out Queen of Hearts. On Her Imperial Majesty’s arrival to the Market Square we will all be dazzled by the Court Entertainers presenting a Spectacular Street Spectacle! Saturday has been graced as The Royal Market Day. You will find the young and old enjoying the beguiling Royal Entertainers perform tricks, acrobatics and tomfoolery of Worlde class. Artisan producers will peddle their wares and workshops are available to the public in clay work and chairs! Our Blackstars Farmers will be holding an exhibition of ‘Life on the Hill’. On the Saturday evening in St. Aidan’s Hall and for the most excellent price of €15, Her Majesty’s Players will rarely perform their Irish musical ‘Across Blue Waters’. The play intertwines five love stories, the end of a rebellion, some intrigue, deception and greed. Doors 7:30pm for 8pm. Sunday is family Fun Day. 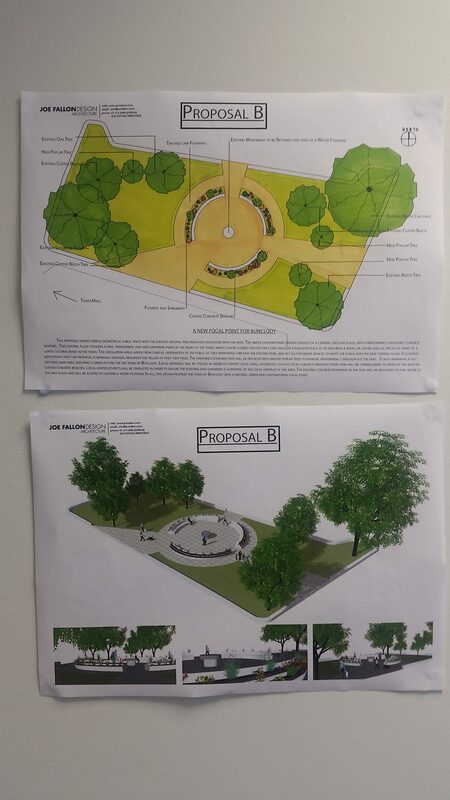 The grounds of Bunclody Vocational College are transformed into the Court of the Queen of Hearts with Fantasy Croquette, a Mad Hatter’s Magical Tea Party and the Royal performers geometrically gyrating magical mayhem and audacious acrobatics – not to mention fire. On the Sunday evening there is another opportunity to watch the Irish Musical, ‘Across Blue Waters’ in St. Aidan’s Hall. Doors 7:30pm for 8pm. Rickets €15. Oh, and I nearly forgot! Alice and her friend The Cheshire Cat are around all week, and you will have to look carefully to find them. A small clue is that they . See how many you can find and be in a draw for a prize. Get your Seekers forms from the Tourist Office. Now, go enjoy the Festival. Mind your heads! Due to circumstance outside their control, Newtownbarry House and Gardens will not re-open for the 2018 summer season and is unlikely to be open to the public again in the future. House and Garden tours and visits booked for the season cannot now go ahead including bookings made through Wexford and Carlow Garden Trails. Clody and her family sincerely apologise for any inconvenience caused and to thank all who visited the house, gardens and art gallery and supported them over the years. Best wishes are extended to the Norton family at this difficult time. 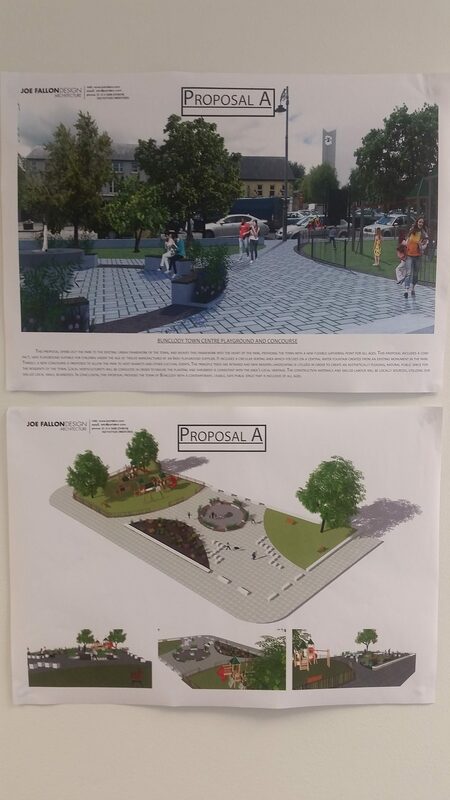 The proposals were designed by Joe Fallon Architectural Design and a more detailed description of what each proposal entails can be found on their Facebook page. Both images can be clicked to view a larger version. 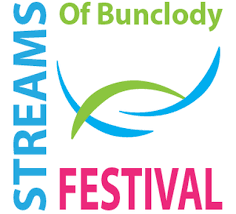 The Streams of Bunclody Festival is being officially opened by Renowned Singer \Song writer Nial Toner on Friday 21st July at 9.00pm in ArtBank, Main street, Bunclody. To be followed at 9.45pm by a Fire and Musical spectacle. Courtesy of The Fairy and The Fiddler. 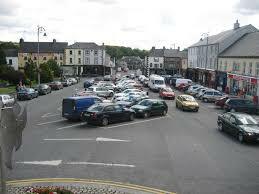 Saturday 22nd sees the Square being turned into a market by Artisan food producers and Bunclody Saturday market, from 10.00 to 5.00pm. From 11.00 there is a Children’s puppet workshop in Bunclody Library, by Julie-Rose McCormmick. Throughout the afternoon there are Street entertainers,. Buskers, bands and, a circus skills workshop in the Square, on the Mall and outside Sam McCauley’s Pharmacy. The evening entertainment is in the Millrace from 8 to midnight with The 7th Fret, Wexford band followed by an 80’s disco. Sunday 23rd Newtownbarry house is the location for an afternoon of Yoga, Music and song, Wine tasting and Jugglers with The Fairy and The Fiddler returning to close the festival.